ABSA Premiership round five saw Kudakwashe Mahachi again at his best when he fired his team back to the top of the log after scoring a late winner against Platinum Stars on Wednesday. Mahachi scored from the spot in the added time. This was his third goal of the season and now jointly leads the scoring chat. His team mate Knox Mutizwa came in as a substitute in the 77th minute. In another game, Evans Rusike could have scored a penalty also but unfortunately, he was denied by the goalkeeper. His team Maritzburg United lost 2-0 at home against Kaizer Chiefs. Rusike’s penalty chance came in the 81st minute after a handball in the box. Despite the penalty miss, the forward had a decent game. His curled freekick in the first half almost crossed the line after the goalkeeper spilled it but soon cleared off the line by the defender. On the other side, Willard Katsande was doing his best to intercept any Maritzburg’s attack. He made crucial tackles especially in the second half when their opponents were now attacking. 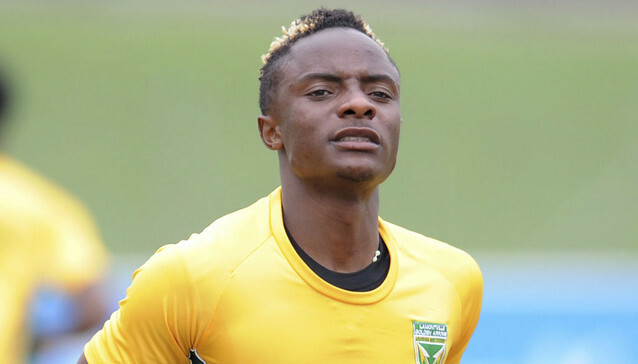 Ovidy Karuru did not play in Amazulu’s 3-0 win over Bidvest Wits. Nonetheless forgotten former Tsholotsho FC midfielder Butholezwe Ncube started for Usuthu. He was replaced in the 67th minute. Striker Walter Musona scored his first of the season in Polokwane City’s 3-2 home loss to Free State Stars. He came off the bench on the half hour mark and scored a header on the 58th minute. However it was not rossy between the posts for George Chigova who made a goalkeeping mistake and gifted the visitors with their first goal in the 16th minute. Chigova made another blunder in the previous round which resulted in a goal.He is now among the worst keepers who have conceded more goals (8) in this current campaign.